I know I shouldn't count my chickens before they hatch, but tomorrow I am supposed to sign leases for both my vacant houses. There is also a third property - the one I tried to sell - whose lease will become effective tomorrow. I'm so excited by the prospects of once again having all my properties rented. Even better, the turnaround time and the rent I am charging are both impressive. On the townhouse, I am charging $650 per month which is $25 more than the last tenant paid. It was vacant for two weeks. I'm most happy about the minor amount of work I had to do to get it ready to rent. The carpet isn't new and has a few stains. It should probably be replaced. 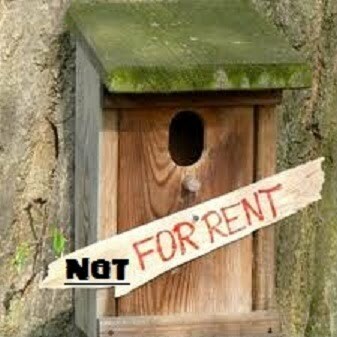 But my tenant didn't say anything about it. Same with the paint. It's acceptable but not a fresh coat. The second property is my condo. The last tenants were there for 18 months and paid $575 per month. They are paid through November (today they are cleaning the carpets and turning over the keys). The new tenants will be paying $625 per month and are moving in Wednesday. Absolutely no down time at all on this property. I'll be making $75 more per month on the two properties, and have spent less than $200 on repairs. This is perfect timing as I was worried about my cash flow for December.